ONE way and another occult forces enter so importantly and so persistently into all considerations influencing the ability to make money that it seems advisable to consider some of them at the outset. They are really the first things that should be studied in every effort to make money. There are other considerations also, which we shall take up later, but our best course is first to take up the occult factors. To begin with it should be recognized that ability and brains are a great asset in making money, but that they do not insure it. If brains and ability measured accurately the amount of money attracted, the managers of our great corporations, many of whom are not wealthy, would possess a large share of the money now owned by opulent stockholders. Some of the latter have inherited their wealth, some of them have acquired it through speculation, some through taking advantage of opportunities that came their way with no great effort on their part, and some through intelligence and effort. It is true that Mr. Baker, Mr. Ford, Mr. Rockefeller and Mr. Mellon, accredited with being the four richest men in the world during the third decade of this century, were all outstanding in their intelligence and unusual ability. But by consulting a list of the approximately 35,000 millionaires (30,295 in 1927) in the U. S. it would be as easy to name a hundred with mediocre intelligence and ability. In Chicago alone in 1927 there were 152 women each worth a million or more. Only 43 of these at that time had husbands. There is no implication that women have less ability than men, but that fewer of them who are wealthy take an active part in the management of business. In 1927 there were seven persons in the U. S. with an income of over $5,000,000 a year, and 207 who had an income of over $1,000,000 a year. And not all of these were exceptionally bright by any manner of means. Some of the most brilliant business men the country has known were completely wiped out by the financial crash which commenced in November 1929. Others have been ruined by different unforeseeable disasters. A new invention sometimes makes obsolete a process upon which an entire business depends. A crop failure, a flood, or other results of natural causes may depress buying power in a certain section to an extent where its best merchants fail. The sudden outbreak of war, with inability to make anticipated shipments left many a man with merchandise on his hands for which he had gone in debt and for which under the circumstances he could not pay. Likewise the sudden end of World War I, with its almost universal cancellation of orders, broke many a good business man. On the other hand, how much business ability had the Cherokee Indians on whose lands in Oklahoma oil was discovered? Yet many of them were made millionaires. Or the man, known in every city, who with no thought for the future other than to have a home, bought property that because it chanced to lie in the path of municipal development, in a few years became immensely valuable. But why multiply instances? Everybody knows someone who in spite of himself, and with no special effort, has become wealthy. The explanation of this lies in the extra-physical power of the thought cells within man’s astral body. These thought cells have been built by experiences before human birth. These experiences, and experiences after human birth, have endowed them with energy and given them desires. They work from the inner plane with such energy as they can acquire to bring into the life the conditions and events, including abundance or poverty of money, that they desire. The power by which an individual can influence mechanically-released dice to turn desired numbers up, and the power by which the thought cells within man’s finer form can influence the events which come into his life, relate to energy fields. But that which is here of interest to us is not the explanation of how the effect is produced, but that they are produced, and that people born with powerful thought cells harmonious to wealth attract wealth, and those born with thought cells discordant to wealth repel wealth. This information would be scant consolation to those whose thought cells do not work for wealth if nothing could be done about it. But fortunately here, as almost everywhere, an undesirable condition can be remedied provided sufficient information is at hand. And in this case the information is available. 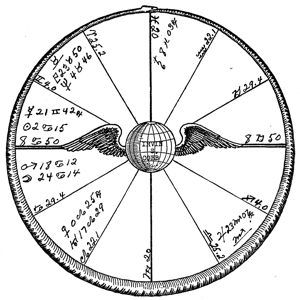 The birth chart is the key to the situation; for it maps accurately the thought cells within the astral body, indicating the power of each group, and whether and to what extent each exerts an attractive or a repellent force where wealth is concerned. Each planet in the chart corresponds to some natural source of wealth. That is, each group of thought cells in the finer body mapped by the position of a planet in the chart, exerts extra-physical power toward some wealth-producing resource. In proportion as the group has energy it tends to attract this particular wealth-producing resource, or condition of the environment. But whether wealth results from contact with this resource or environment depends upon whether or not the thought cells which attract it have harmonious or discordant desires. To the extent the thought-cell group is powerfully discordant will loss of wealth occur. But to the extent the thought-cell group is powerfully harmonious in its desires, wealth will be forthcoming. This is the law. A consideration of this law might prove disheartening to one unfortunate in financial matters were it not that these thought cells are not fixed and immutable in the harmony or discord of their desires. And furthermore, one who understands the law is not compelled to associate with types of environment and natural resources that correspond to discordant thought-cell groups within himself, but can intelligently select those that have, for him, the utmost in wealth-attracting facilities. The first thing that should be thoroughly understood is that one cannot make money from those things that astrologically correspond to discordant groups of thought cells within his astral body. A careful study of the birth chart will reveal which thought cells were discordant at birth, and probably remain so unless a systematic effort has been made to change them. To make money from the things indicated by the astrological factors mapping these thought cells would require that the desires of these thought cells should be reconditioned. It is possible, within limits, to do this, but it usually is far more profitable to devote the energy among those things toward which from birth there have been powerful and harmonious thought-cell desires. The greatest wealth-attracting resource and environment is indicated by the best planet in the chart of birth. The greatest wealth repelling resource and environment is indicated by the worst planet in the chart of birth. To make money, therefore, one should avoid, as much as possible, those things ruled by the worst planet in the birth chart, and one should associate as persistently as possible with the various things ruled by the best planet in the birth chart. This rule should be followed not merely in regard to the articles handled in the business or occupation, but also followed, as far as practical, in the selection of a location and minor associations; for localities, cities, colors, numbers and names—these latter due to the vibration of the thoughts radiated by those who see or think of them—have some influence. Objects and people’s thoughts, as well as one’s own thoughts, radiate inner-plane energy of characteristic vibratory key. These radiations add their energy to, and stimulate into activity, the group of thought cells of similar vibratory key in the astral body of anyone closely associated with them. This gives the group of thought cells of similar astrological quality more power to work from the inner plane to bring the events it desires into the life, whether it desires riches or desires poverty. The birth chart not only indicates the natural source of greatest wealth, but the department of life through which wealth most readily will come. This is indicated by the house the best planet is in, or at least by the most harmonious houses in the chart. Some people, for instance, are fortunate in speculation, but others always lose when they take a hazard. Yet those who lose when they take a chance often succeed in all business undertakings of a conservative nature. Some are fortunate in real estate, and some always make the wrong purchases. Some make money through partnership, and others lose through the mistakes of the partner. It can only be known in which departments of life the thought cells are harmonious enough to attract money, and in which departments of life they are so discordant that every move will bring financial loss, through an analysis of the birth chart. And it is much better if one is able to make this analysis for oneself. At start, therefore, of any systematic effort to make money, one should learn how each environment and natural resource tends to affect the moneymaking thought cells within the finer body. And one should learn through which departments of life, and to what extent, he repels money, and through which he attracts money. Charles M. Schwab, early in his career, lost money, a great deal of money, in Nevada copper mines. Yet in the manufacture of steel he became one of the most powerful financial figures in America. It is almost an axiom among business men that when a man takes up some line quite dissimilar to the one in which he made his money, he usually loses. Do not expect, therefore, to be able to make money in any line you fancy. Even the biggest money makers are unable to do this. But they have found, perhaps by bitter experience, in which lines they are fortunate and in which unfortunate. Instead of choosing at random, or without guidance, see to it, therefore, that the type of your efforts and your environment are such as attract, rather than repel, wealth. Another thing which should be decided at start is whether it is better always to work for a salary, or whether, at the right time, it would be better to go into business for yourself. There are salaried positions to be had that yield enormous incomes. In fact, there arc never men enough to fill the $100,000 a year and better positions. That is, there are many such positions open to any man who is sufficiently capable. And, peculiar as it may seem, many a man who is capable of earning such a salary when steadied and kept in bounds by the board of directors of a corporation, goes on the rocks whenever he goes into business for himself. Some people, due to the activities of the thought cells within their finer forms, do their best in business for themselves. But others, doing well while working for others, make a miserable failure of their own enterprises. This should be known in advance. 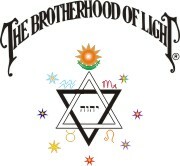 It is revealed by a study of the birth chart. 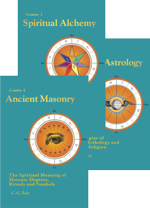 The astrological rules are given in Chapter 5 (Serial Lesson 107), Course X-I, Delineating the Horoscope. Such analyses as have been suggested, if carefully and thoroughly carried out, prevent the energies and resources being diverted into channels from which there is little prospect of adequate compensation. They enable the energies to be focused in those lines which will yield the given individual the maximum financial returns for effort expended. There may be, however, groups of thought cells within the astral body that are so discordantly organized in association with all thoughts of money that even though money be made, one condition after another will arise to take it away. Again, the birth chart, mapping the planet afflicting money, reveals the thought cells having discordant desires, and how they were formed. To counteract their influence, and thus put a stop to repeated financial loss, their desires must be changed. This is accomplished by reconditioning, especially by using proper thoughts as a mental antidote, as explained in detail in Course IX, Mental Alchemy. These selected thoughts should be substituted for those which are the expression of the discordant thought cells whenever thoughts about money enter the mind. 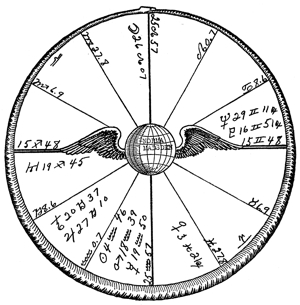 It may be found, instead of pronounced discords, that the birth chart or the life up to the present time reveals that the finer body contains no thought cells relative to money of sufficient power to attract money. That is, there may be no gains and no losses of consequence. When this is the case, in order to make money it is necessary to give the thought cells mapped by the second house of the birth chart, and perhaps those mapped by certain planets, additional energy. In a very general way, if you cultivate the feeling of pleasure on every occasion when money is mentioned this has an attractive effect. But to have the feeling of discouragement, the feeling of loss, or any other disagreeable feeling, at the time money is thought about tends to repel wealth. It matters not whether such feeling is caused by actual loss or merely by anxiety over money matters. It tends to repel money. But all thoughts of money accompanied by feelings of joy and pleasure exert an attraction toward it. The most powerful thought cells in the finer body to influence money are those mapped by the planet ruling the second house of the birth chart. When this planet is known, every effort should be made to add to its harmony by associating thoughts, feelings and actions of pleasure that correspond to it with thoughts of money. Each planet rules a given type of thought, and the type of thoughts ruled by the planet governing the second house should be built up both in power and in harmony through appropriate thoughts, feelings and actions. These money-attracting thought cells may also be accentuated by appropriate things in the environment. Some care, however, must be used in this, as objects, unlike thoughts, are not harmonious or discordant in themselves, but merely add energy to thought cells of similar vibratory rate in the astral body. Therefore, if the money thought cells in the astral body are discordant, associating with objects corresponding in vibratory rate to them merely increases their power, without changing their desires, which may be to occasion loss. But if the money thought cells, as shown in the birth chart by the ruler of the second house, are harmonious, associating with objects of similar vibratory rates will be beneficial because their power will be increased, and already they desire to work for wealth. Association with names, numbers, colors, gems, localities, people, and other things ruled by the planet governing the second house should be encouraged only when the ruler of the second house of the chart is a harmonious influence. When it is not a harmonious influence, the planet making the best and strongest aspect to it, or otherwise having the most power in reference to money attraction, should be selected by a careful analysis of the positions in the birth chart. And when found, the associations should be, as much as practicable, with names, colors, numbers, objects, and situations ruled by this other money-favorable planet. Time relations must not be neglected if one is to take full opportunity of all advantages to make money. During a period while the dominant progressed aspects are heavily discordant it is very difficult to make money. This is particularly true if the planet ruling the second house is a member of a discordant progressed aspect. But even if the ruler of the second house makes a weakly harmonious aspect, the discord of the heavier aspect may act as a Rallying Force to cause loss. During such a period, therefore, it is best to be conservative, on the lookout to prevent unnecessary expenditures, and on guard against avenues of possible loss. Expansion and new enterprises, in as far as practicable, should be postponed until the progressed aspects are more favorable. There is the tendency, throughout such a period, to the extent the discords affect the desires of the thought cells, for the individual to attract enterprises and other environmental conditions that tend to lose rather than make money. On the other hand, during a period when the dominant progressed aspects are powerfully harmonious, the desires of the thought cells within the finer form are such that they work—using extra-physical power—to attract enterprises and environmental circumstances that have moneymaking qualities. 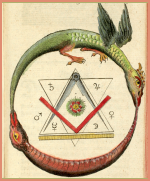 And this is particularly true if, at the same time, there is even a weak, harmonious progressed aspect to the ruler of the second house of the birth chart. Another thing, as revealed by a statistical analysis of the progressed aspects in the charts of 100 people at the time they made money, and a statistical analysis of the progressed aspects in the charts of 100 people at the time they lost money, people only make or lose money in amounts which to them are significant during the periods when there is a progressed aspect to the ruler of the planet governing the second house. The complete analyses, and the conclusions to be drawn from them, are set forth in the book, WHEN AND WHAT EVENTS WILL HAPPEN. To be most fortunate in money matters he progressed aspects should be employed as a barometer of the thought-cell activity and the thought-cell desires. 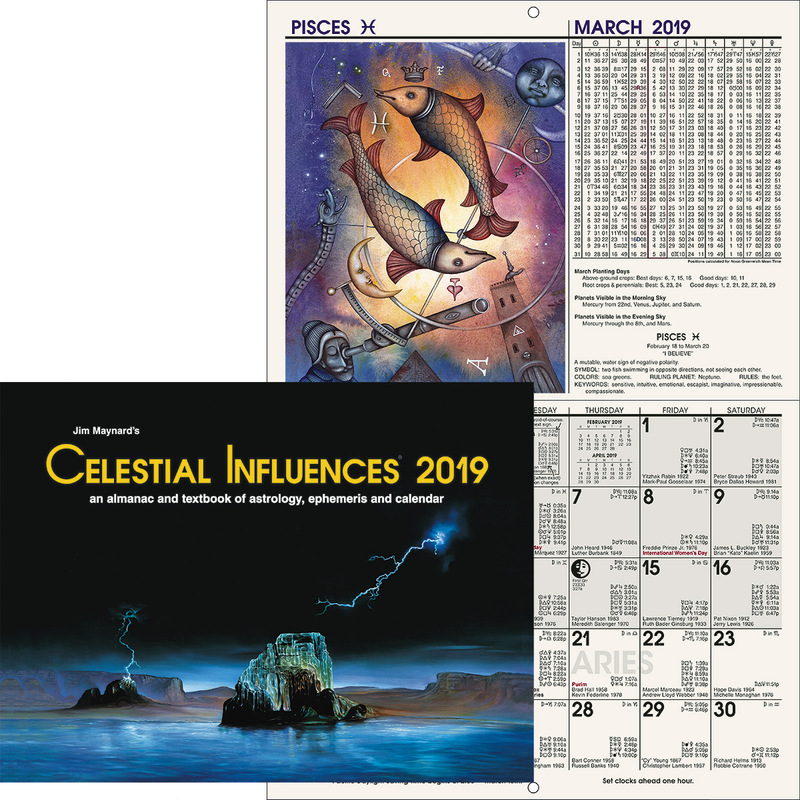 Within the heavier astrological influences that last for a year or even a series of years, there are lesser influences that vary from month to month, such as the sub-major influences denoted by the major progressed aspects of the Moon. And there are still other influences varying from day to day and from week to week, indicated by minor progressed aspects and by transits. How much one can venture with safety at any particular time is revealed by these progressed aspects. And when it is safe to launch a particular proposition is also thus indicated. An enterprise ruled by Saturn, such as a real estate transaction, or a mining venture, will be backed by the most favorable thought-cell activity if it is launched while there is a good progressed aspect involving Saturn. A manufacturing enterprise, or a hazardous adventure, will have a better chance of succeeding if undertaken while there is a harmonious progressed aspect to Mars. And an effort to gain patronage, or something depending on good will and salesmanship, will prosper more if presented when there is a harmonious progressed aspect to the planet Jupiter. Then again, in addition to the progressed aspects in the chart of the individual or individuals starting it, the success of an enterprise is markedly influenced by the time when it is started. The moment of starting a new venture is its moment of birth, and a chart erected for this moment indicates, by the planetary positions, much of its future. If a business is commenced when the progressed aspects in its owner’s chart are discordant, merely choosing a propitious day for its birth will not insure its success. But choosing a propitious day for its opening will make its course more favorable than if, during the same general period, it is started on an inauspicious day. This subject of selecting the most propitious time for starting each specific venture is considered in detail in Chapter 7 (Serial Lesson 92), Course VIII, Horary Astrology. It may seem that altogether too much space in this chapter has been given to astrological considerations. There is no question that the observation of the principles shortly to be expounded, even with no knowledge of astrology, will enable the individual to make more money than otherwise he would do. But long years of observing the influence of astrological positions upon the financial condition of people convinces me there are no other factors having a bearing upon making money that are nearly so important. When the individual has analyzed the possibilities of his birth chart, and then intelligently watched the progressed aspects for opportunities, he has already advanced more than half way toward making money. But as the study of the birth chart and progressed aspects merely gives the best possible map of the road to wealth, let us now take up the more important steps along this road. At the first step we should realize that to have money something must be exchanged for it. Money is minted or printed by the government, and not by the individual. For this money to pass into your hands you must have something to trade for it. And more important still, this something for exchange must be so desirable that those who have money are willing to part with cash for it. This statement is so simple that it might seem almost redundant, yet I find people every day violating its principles and at the same time wondering why they do not make money. They are willing to work, but the quality or type of work they do is such that nobody wants it. They till the soil and raise farm produce, but this produce is so common that the price does not justify their labor. They make an invention, or a new discovery, after perhaps years of research and effort; but it yields no income because nobody has a use for it. They manufacture something, and expect to become rich, but fail to realize this hope because there is no demand for this particular article. Such lack of success in money getting is directly traceable to the violation of the fundamental rule that to make money you must have something that people so desire that they are willing to exchange money for it. No attempt here can be made to give more than a rough outline of basic financial considerations. Yet if you expect to make money you should understand the principles here outlined. 1. Basic utilities: These are natural resources that have undergone little processing, such as crude oil, unfinished lumber, coal, iron and other metals, grain, cattle on the hoof, and other farm produce. 2. Form utilities: These are the product of labor applied to basic utilities. Thus gasoline is a form utility, a house is a form utility, as are bread, beefsteak and pumpkin pie. 3. Service: When the dentist pulls an aching tooth, a man delivers a lecture, a lawyer pleads a suit, or the grocer man delivers a pound of butter, a service has been performed. Service is as truly production as agriculture and manufacturing; for until serviced merchandise has no use to the consumer, and without other classes of service life sinks to the level of mere animality. I am inclined to stress the opportunities of money making in certain services, particularly in the distribution of commodities. Distribution gives “form” utilities (merchandise) “time” utility and “place” utility. For example, a dozen eggs have no value to you while they are on a farm fifty miles distant. Upon discovering you have no eggs for breakfast, it would be unprofitable for you to travel to this farm and back in order that you might have eggs with your toast this morning. But you do not hesitate to call up the corner grocer and have him deliver the eggs. They reach you perhaps in ten minutes, before you have finished shaving, and in another five minutes are cooked and on the table. Because the grocer performed the service of having the eggs in the right “place” at the right “time” you are able to have eggs for breakfast as usual, and reach your office or shop at the customary time. We cannot expect the grocer man to perform a service without getting paid for it. We cannot expect the man who furnishes the transportation—brings the eggs from the farmer to the grocer—not to be paid for his time and work. But there are at the present day undoubtedly very great opportunities for the person who can perform such services more economically. It is not unusual, for instance, for the farmer to receive for his products not more than 25 per cent of the price paid by the consumer. Packing, shipping, storing, wastage, deterioration, handling by middlemen, and distributor’s profits account for the other 75 per cent. Some authorities state that on an average half the selling price of all goods is accounted for by marketing expenses and profits. Certain staples, of course, are sold to the consumer at perhaps an advance of not more than 10 per cent of the sales price. But in general the advance is much greater. Another authority estimates that 37 cents of the consumer’s dollar pays for the cost of production including the material it contains, 49 cents is devoted to services between the producer and the ultimate consumer, while 14 cents is the profit of those who handle the commodity. To the consumer, and rightly, such a wide spread between the cost of producing an article and the price he must pay for it seems exorbitant. Yet this field of service in its various branches is at all times open to those who wish to make money. To anyone who can devise a method by which the cost of delivering a commodity from producer to consumer may be lowered there awaits a fortune. At present this attempt is being made through chain stores and branch banking. But the opportunities are not confined to great corporations; for whoever renders a service that is wanted by the public, at a lower cost than can his competitor, is a benefactor to others and is on the road to wealth. Turning now from the problem of distribution to those that are inherent in all money making, no matter whether the effort is that of service or of production, the first thing always to consider is demand. If you expect to practice some profession analyze the probable demand for such services at this “time” and in various “places.” If you intend to raise a crop, ascertain first if there will be a ready market for it at a profitable price. Even if you only expect to hire out your ability as a laborer, make a canvass of the qualities you possess and of the people that have need for such qualities. On the other hand, if you already have something, and there is no demand for it, your only hope of making money out of it is through building up the desire of other people to possess it. The Standard Oil Company was faced with such a problem. They had at one time plenty of kerosene but an insufficient market for it. Surveying the possibilities they thought of China with its population greater than that of any other country. But the Chinese had no desire for kerosene. They had never felt the need for lamps. Therefore, to build up a demand for kerosene the Standard Oil Company furnished lamps to the Chinese free. After the receiver of such a gift became accustomed to its use he no longer was willing to do without its convenience, and as a consequence there was built up in China an immense sale of kerosene. 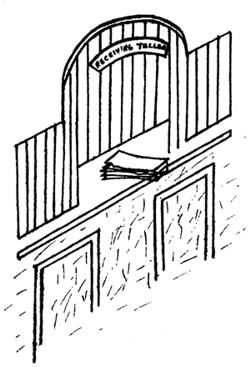 Illustrations of this same principle—as when the Fuller Brush salesman on each visit gives the housewife a vegetable brush—can be multiplied indefinitely. If, therefore, we consider the very first essential of making money to be the production or possession of something which other people desire, the second essential seems to be that if you have something that can be disposed of, to build up the desire for it in other people’s minds. This, of course, is salesmanship. One of the greatest fallacies is the notion that something may often be had for nothing. Sometimes a natural resource may be discovered and exploited. Sometimes a combination of circumstances arises that gives great value to something that previously had little value. In the field of speculation, some people are able to gain money that others lose. The birth chart reveals the possibilities and the lack of them in such lines. And the progressed aspects of the planets indicate both the times when and the fields in which, such ventures will prove most successful. The horoscope is the best obtainable guide to both speculation and investment. But most money is acquired in furnishing other people with the things they desire. And nowhere is there a greater demand for ingenuity and a greater lack of ideas. It is rather an axiom that wealth is the product of labor. But unless that labor is directed by intelligence not much wealth is produced. With a machine one man can have an output the equivalent of that of one-hundred men working without machines. Few things are being done in the best possible way. They are being done in a particular way because that has been the customary way of doing them. For how long were watches worn on chains? Apparently everyone considered that the only possible way a watch could be carried is dangling at the end of a chain. But finally someone—shall we say an intellectual giant—had a brain storm and brought forth the astounding thought that it might be possible to wear a watch on the wrist. Hence wrist watches today. And a thousand more ideas of no greater complexity than that of the wrist watch are yet undiscovered because human minds are so steel-encased in precedent. In each of these ideas is the germ of great wealth. While the old formula that wealth is the product of labor in a sense is no doubt accurate, at the present day, it seems to me more relevant to the facts to state that money is the product of brains. It is not that people who lack money do not have the brains, it is that they fail to use the brains they have. There is probably no occupation that men follow but that better methods of procedure can be devised in it. There is probably no mechanical or manual work being performed today but that it can be improved upon. And such improvement in quality, such cutting of time consumed, such elimination of waste, such additional services rendered may be capitalized and turned into money. But people find it so hard to think of things in new ways. To overcome this difficulty the effort should be made from the start to learn all there is to know about the enterprise you are engaged in. Accumulate and classify every fact that may have a possible bearing upon the matter. Know the matter from the ground up. Then start the rearrangement of these facts in as many different combinations as you can think of. Think of each process, and of all the possible ways it might be done, no matter how ludicrous some of these ways may seem. You need not doubt that there are better ways of doing the work than the way you are now doing it, or better policies than those that you have adopted. And you can think of them, if you make up your mind to do so. More important still, put your unconscious mind to work on the problem. It has a far wider field of information than the objective consciousness has, and immensely greater ability to bring the factors together to give the desired solution. First, of course, get a clear idea of just what you want. You want, let us say, to devise a method by which you can give the public better quality at the price previously charged for poorer quality. Or, perhaps, instead you desire to give the public the same quality at a lower price. Or you may decide the best thing is to find a method of reaching a wider public at the same price and quality. But whatever it is that needs solution at the time, formulate it clearly. Know what you want, and then build up abounding confidence that there is a solution, and that you can find it. Collect all the facts about the matter possible. Bring them together in as many combinations as possible. And then, after this confidently turn the whole matter over to the unconscious mind. If this preliminary work has been well done, and due responsibility and due confidence is placed in the unconscious mind, new and valuable ideas about the situation will, at moments when you are thinking of almost nothing, or thinking of something entirely different, pop into your mind. Both affirmation and suggestions (Chapters 7 and 8 (Serial Lessons 62 and 63), Course V, Esoteric Psychology) properly applied will greatly aid in directing this activity of the unconscious mind, and thus assist in the production of the desired result. In moneymaking the most fatal mistake is to lose sight of the other person’s point of view. Your point of view—that you desire to make money—is of little concern to him. He will not do what you want him to do—provide you with money, for instance—just because you desire him to do so. He will only do this because, and when, he desires to do so. You can only expect to gain possession of his money through his desire for something. Furthermore, as previously pointed out, the other person is the only source from which you can obtain money. Consequently, if you are to have it, in some manner you must appeal to the desire of someone who has money. This appeal may be made by means of some new article, or some new service. Conveniences and luxuries are being invented and profitably marketed every day. New forms of services are constantly being sold to the public. The method of thinking up these new ideas is briefly stated above. But first, last, and all the time, in such inventive activity, the want of the public must be considered. Either a need already present must be supplied, or some method devised by which a need that the public is yet unaware of may be built up. In reference to the things that the public already knows it wants, the appeal of quality is universal. If people can get better quality in an article, or better quality in a service—a better doctor, a better lawyer, a better dentist, a better mechanic—for the same amount of money, their desire is appealed to and money changes hands. Or if the quality is much increased, and the price increased only moderately, there is an appeal to a rather wide class. Therefore, whatever line you are in, there is always, if you can but think of it, a way by which quality may be increased in a manner to arouse the desires of others. Another universal appeal is that of price. Whether it is merchandising or service, the public desires to purchase at the lowest price. If, therefore, you can devise some method of supplying the same quality of service or merchandise at a lower price, this appeals to a fundamental want. Mass production has accomplished this in some lines, although the limit is nowhere reached. But in every line there is opportunity to lower prices through superior management, or through carefully thought out devices. Briefly summarized then, the chief avenues of money making are through new or unique articles and services, through increasing the quality of merchandise and services already in demand without a commensurate increase in price, and through lowering the price but not lowering the quality of merchandise and services desired by the public. But such action only makes money when people know about it. That is, you may have something new or unique, you may have devised a method by which better quality can be given at the same price, or the same quality can be given at a lower price, and at the same time leave an adequate margin of profit. Yet unless people are informed of these advantages no money will flow your way. Thus it is that no matter what pursuit you engage in—as the money you acquire must come through other people even if you ship the gold to the mint—if you are to make money out of it there is an element of salesmanship to be considered. If you are working for another, you must sell your ability to the boss. If you are working for yourself, you must sell to the public or some portion of it. In professional work, and in such selling as requires meeting the public personally, the personality factor is of extreme importance. People patronize those they like, and only an unusual inducement will cause them to deal with a person they dislike. Chapters 5 and 6 (Serial Lessons 155 and 156) give instructions on becoming attractive and winning friends, both of which are extremely important in making money. But whatever you have to sell, see to it that people know about it. And right here another principle of psychology should be mentioned. It is called the principle of SUMMATION. Careful experiments in this have been conducted by Mandel Sherman and Irene Case Sherman. They found that a child who took no notice of a direction, for instance, could often be made to react to it by repeating the direction five or six times at short intervals. If the intervals between were too long, the child continued to take no notice. A stimulus, repeated at short intervals, has a cumulative effect. This principle, together with the general susceptibility of people to suggestion, has long been put to practical use by advertisers. If you read on a billboard once that White Bar Soap cleanses everything, it passes without much effort. But if you read this day after day, it sinks into both the conscious and the unconscious mind. You do not stop to analyze why White Bar Soap is better, or even to prove it is better. But, when you need soap, because this suggestion has gained a foothold in the unconscious, and because of its familiarity it is the first soap thought about, you order White Bar. In many lines it is unethical to use signboards or other commercial advertising. But as we all must sell something in order to make money, we can take steps, at least, to prevent those to whom we must sell from forgetting us. Professional men do this through lodges, through leading worthy civic enterprises, and through other social contacts. Unless the public knows about these men they cannot patronize them. If, therefore, they render a service of value to society, they are not only benefitting themselves, but also others, by getting themselves widely recognized. As already suggested, money cannot be made without the exercise, in some degree, of salesmanship. Treatises on salesmanship embracing several volumes to a set are to be had, but the outline given below sets forth all the important steps. The larger works mentioned merely elaborate these steps and illustrate their application. From the moneymaking standpoint—for salesmanship must be used in the attainment of nearly every ambition—let us look at it this way: You have something to sell, either service or merchandise. To sell it you must induce someone to purchase. Therefore you make a (1) survey and list every possible customer. To sell to any one of these possible customers he must be (2) approached. This contact may be made personally, through direct mail advertising, through newspaper and billboard advertising, or other means. But mere contact produces no results. It does however afford opportunity for (3) gaining attention. You can sell nothing to a person whose attention is elsewhere. Furthermore, you must arouse his (4) interest and build up (5) desire. The more information you have about the customer the easier it is to know what will interest him, and how to stimulate his desires. Reason, suggestion, appeal to the senses, and various methods may be used for this purpose. In addition to arousing desire you must also secure his (6) confidence. He must become convinced that you are not unwittingly or willfully misrepresenting. After confidence is established the next step is to bring about (7) decision to buy. This may be done often by showing how the merchandise or service will benefit him personally, that is, how it applies specifically to his needs, wants, or desires. Or it may be done by building a secondary desire, such as through some additional inducement, reason, or suggestion that has been held back to this moment. This is the psychological moment that the skilled salesman watches for, and takes advantage of to obtain (8) action. Action is the passage of money in connection with the sale, the signing on the dotted line, or whatever is necessary to complete the transaction. It will thus be seen that the selling of something is the systematic building up, step by step, of an impulse that overflows in a definite action. Yet this does not conclude the transaction so far as moneymaking is concerned. If there are to be further sales to this customer, or to his acquaintances, the goods or services must give (9) satisfaction. The end toward which all successful salesmanship strives is the satisfaction of both seller and buyer. The powers of the unconscious mind may be enlisted most effectively in attracting money. Do not visualize any particular person, but at a given time each day visualize clearly the situation through which you expect to get money. That is, picture a crowd of people at the counter of your store, a number of patrons in your office, or yourself working as you wish to be at a higher salary. Picture the situation, and also the passage of money resulting from the situation. Formulate the matter as an affirmation, and as you picture in your mind the money reaching you, repeat the affirmation. Make the affirmation and the picture suit your circumstances. Thus if you are a merchant, picture many people buying at your counter, while you repeat: MANY CUSTOMERS ARE COMING TO MY STORE AND FREELY SPENDING MONEY. June 23, 1876, 5:15 a.m, LMT., 88:38W., 37:05N. 1895, editor Paducah Daily News: Venus trine Jupiter r.
1898, columnist Louisville Evening Post: Sun trine Jupiter r.
1904, humor writer N. Y. Evening Sun: Venus conjunction Mars r.
1911, Staff contributor Sat-Eve-Post: Sun square Neptune r.
1914, war correspondent in Europe, Sun conjunction Saturn r.
1922, Chevalier Legion of Honor: Sun conjunction Mercury p.
1922, winner first prize O. Henry Award for best short story published: Sun, Mars and Mercury conjunction Uranus. 1930, many radio engagements: Sun square Pluto p.
1932, screen story writer: Venus conjunction Uranus r.
1934, moving picture comedian: Venus conjunction Mars r.
January 26, 1902, 1:00 a.m., ST., 151:12W., 33:52S. 1916, started singing: Sun sextile Uranus r.
1917, first public appearance, became protege of Madame Melba: Sun sextile Uranus p.
1919, married: Mars conjunction Venus r, Venus opposition Moon r., left Australia to study in Europe: Venus sextile Uranus r.
1935, toured Europe as Grand Opera Star: Jupiter conjunction Sun r, Mercury sextile Uranus p.
1936, long time contract to sing at Opera House in Monte Carlo: Mars square Pluto r.
1939, refugee from Monte Carlo due to war: Mars square Uranus r.